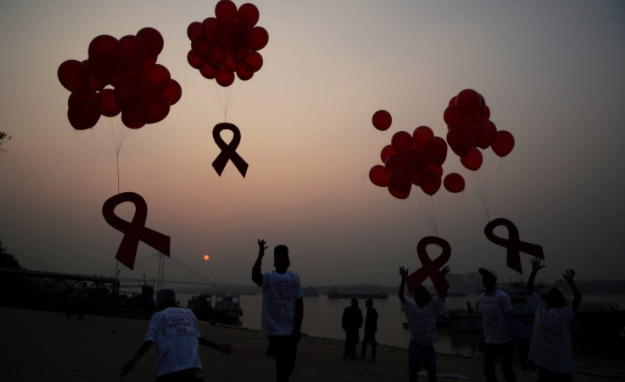 A South African child, believed to have been infected with HIV around the time of birth, has remained free of the virus for 8 1/2 years after early treatment — renewing hope among scientists that such outliers may hold clues to help end the decades-old epidemic. Out of the millions of children worldwide who are HIV-positive, the child, now 9, is one of only three who have been identified by scientists as having the ability to stop the virus from resurging for an extended period of time. Anthony Fauci, head of the National Institute of Allergy and Infectious Diseases, struck notes of both optimism and caution when speaking about him. Fauci described the child as being in “remission” rather than being cured. And while hoping that the child would never have an active infection, Fauci noted that HIV tends to hide in “funny places” and that it is “not entirely inconceivable” a small amount of the virus may remain in the body and start replicating again. The South African child came to the attention of researchers in 2008 through a larger study funded by the National Institutes of Health. It took place from 2005 to 2011 at hospitals near Johannesburg and Cape Town and involved nearly 400 HIV-positive babies. Mark Cotton, a pediatric AIDS expert and one of the lead authors of the paper being presented Monday in Paris, explained that children were randomly put in one of three groups. One received the standard of care at the time, which was to start therapy only when the individual showed signs of becoming sick or evidence of a weakened immune system. The other two groups started treatment immediately after their HIV-positive status was confirmed, and stopped after 40 weeks or 96 weeks, respectively. The goal was to figure out whether early treatment was better than deferred treatment. Cotton said the data appeared to show that children who had the virus rebound earlier had to go back on medication after a couple of weeks. But there was a huge surprise for subjects whose remission lasted longer, he said, with several children not needing to return for two or more years after 96 weeks of treatment. For the 40-week treatment group, the average remission period was about 30 weeks; for the 96-week treatment group, it was about 70 weeks — although researchers caution that the results are still being analyzed and should be taken as very preliminary. Yet the one child is already considered a distinct outlier. Born to an HIV-positive mother, the baby was taken to one of the clinics in the study at about 8 weeks old. The child began therapy when the viral load was relatively low and took liquid antiretrovirals twice a day until about 48 weeks of age. By the time the child was done with treatment just before turning 1 year old, the viral load was undetectable, and year after year during follow-up visits, the child continued to show no signs of an actively replicating virus. One of the leading theories about how children in the study who had the longest remissions might be different has to do with how their immune systems give them the power to suppress any rebound. Another factor may be that their very early treatment did not give the virus a chance to fully establish itself.